As the Vikings try to handle the Carolina Panthers’ fourth-ranked run defense on Sunday, they’ll have to do so without rookie center Pat Elflein. Elflein, who was listed as questionable for the game with a shoulder injury that limited him in practice all week, won’t play for the Vikings on Sunday in Charlotte. He’ll join tackle Mike Remmers among the Vikings’ offensive line starters to miss Sunday’s game, while Nick Easton starts at center. 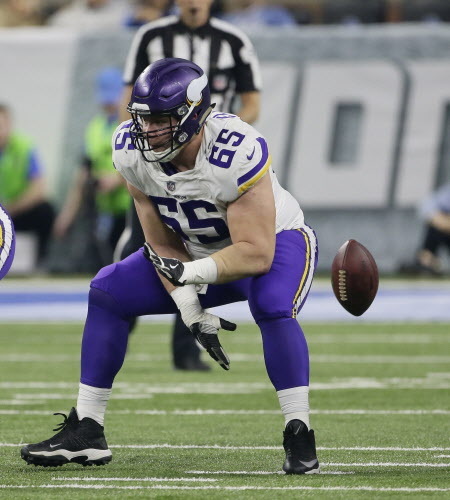 The loss of the rookie, who’s put together an impressive season through 12 games, could be a blow for the Vikings as they try to establish their run game on Sunday, but they did use Easton as their center for much of training camp, and they have a capable backup in Jeremiah Sirles, who’ll start at left guard.